For years, foundation has been as important a staple in a makeup kit as red lipstick. But finding the right shade, the one specifically suited to your skin tone, has often proved difficult. 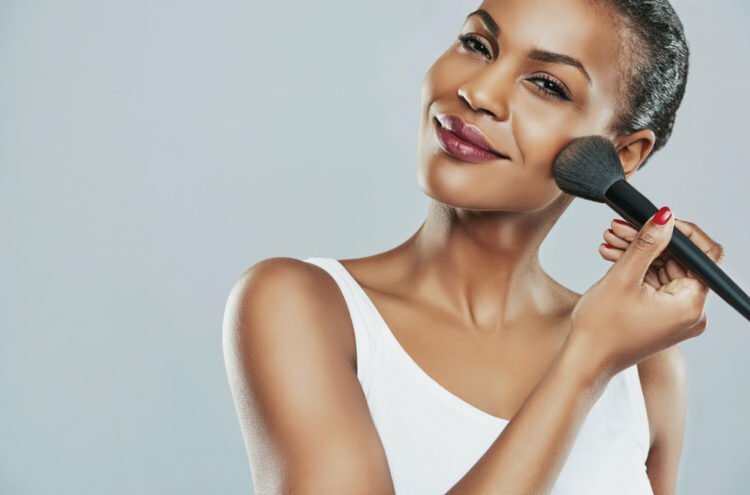 You may have found yourself purchasing two foundations, which you would later blend together, or one that was close enough to your skin tone, trusting that it would not leave an ashy residue. Of course, neither option is ideal. “We noticed that we weren’t servicing our ethnic consumer with enough shade variety to match her skin tone,” explains Bobbi Brown’s national makeup artist, Anna Weinbeck. 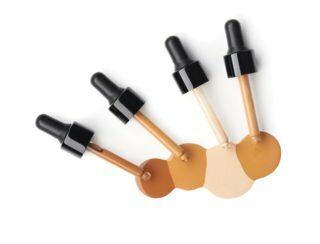 “After two years of development, we can proudly say that we have a shade – 32 to be exact – for everyone.” However, as relieving as it is for women to know that makeup brands have begun to take an interest in providing products that cater to their specific skin tone, the abundance of new releases may make the search for the perfect foundation a little overwhelming. The first thing you need to do in searching for your perfect shade is to identify which type of undertone you have. This knowledge will make things much easier. By examining your bare skin, note whether it has a rosy shade (a cool undertone), a golden color (warm undertone) or a combination of the two (neutral). Then you will then need to test the foundation. While the shade may appear to match your skin while in its packaging, there is still a risk that it will not properly blend into your skin, which will result in a mask-like, cake appearance. Testing your foundation in natural light and matching it on your jawline is the best way to go, as your skin tone varies in different areas of your face. 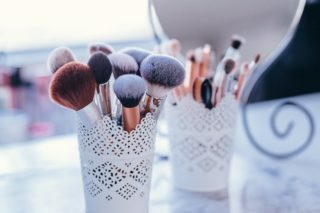 While many brands are doing their best to cater to their consumers’ needs, this does not guarantee that the foundations are free of potentially harmful ingredients. You need to check the list. Aside from fragrances, parabens, and alcohol, which can irritate the skin, other ingredients that should be avoided include triclosan, which has been linked to thyroid issues, and petroleum distillates, which may cause contact dermatitis. But you should also be on the lookout for ingredients that could benefit your skin. These include zinc oxide, which is ideal for sensitive skin, titanium dioxide, vitamin A and vitamin E (tocopheryl acetate). After you pick up a product and start googling the list of ingredients you know little about – you may find some conflicting facts. To make your life easier – take a look at our top three recommended websites for trustworthy information on toxic beauty ingredients: EWG Skin Deep Cosmetics Database, The Campaign for Safe Cosmetics, and Ecocert. There also continues to be a trend towards different, innovative tools for applying foundation. But David Sharp, national makeup artist for Lancôme South Africa (which now has 40 shades in its Teint Idole Ultrawear range), believes in keeping it classic. While we have different microclimates around the country which might affect the type of skincare and foundation you use, there is really no need to change your foundation in accordance with the seasons – simply warm up your skin with a bronzer if you feel that you tend to lose color in winter. While foundation can help to emphasize your look, the true foundation of every beauty routine is, and should always be, the practice of good skincare. By looking after your skin, you will ensure not only that it is protected, but that your foundation gives you a flawless finish. Click on the link to find out more about the beauty trends predicted for 2019 – hint: goodbye complex, 10-step k-beauty, and hello simpler, more user-friendly j-beauty!